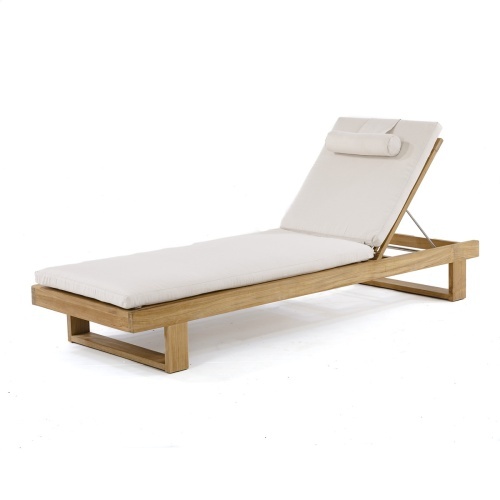 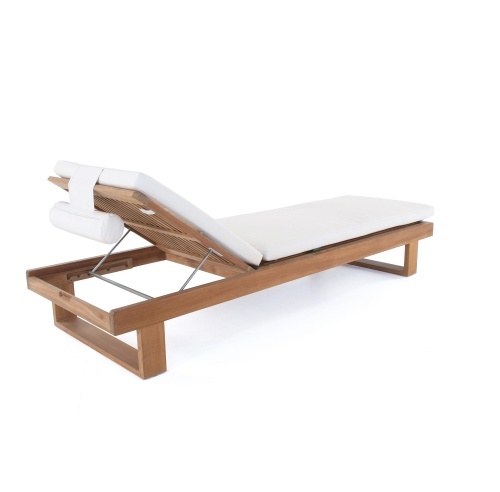 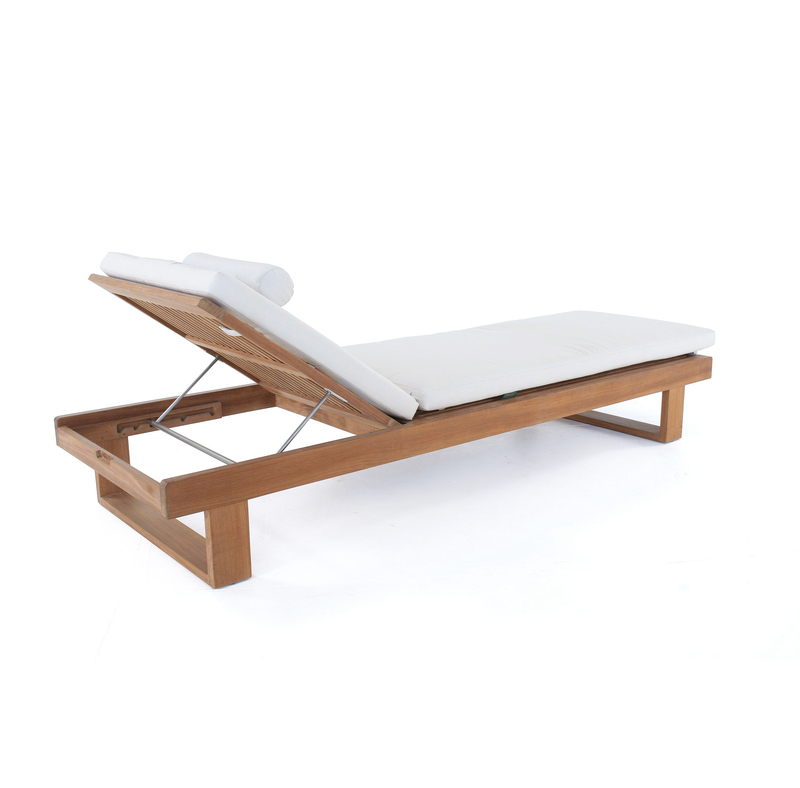 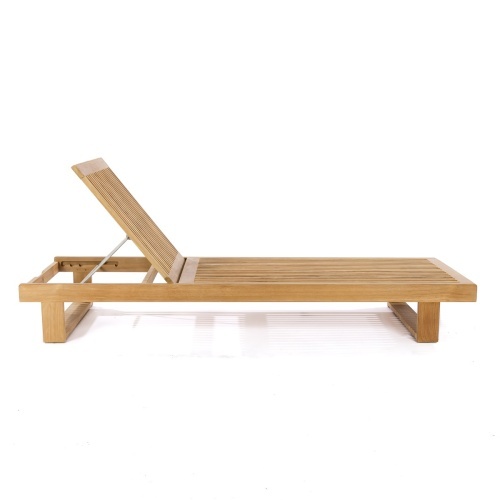 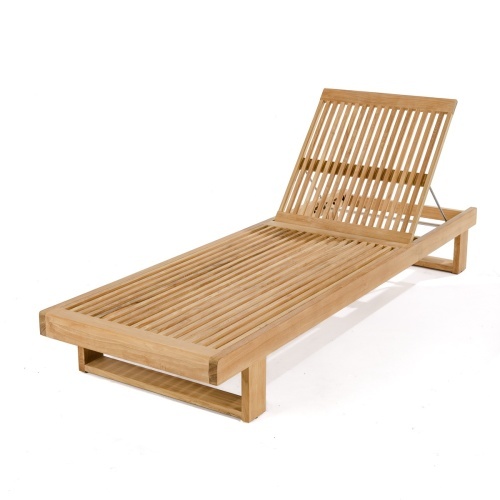 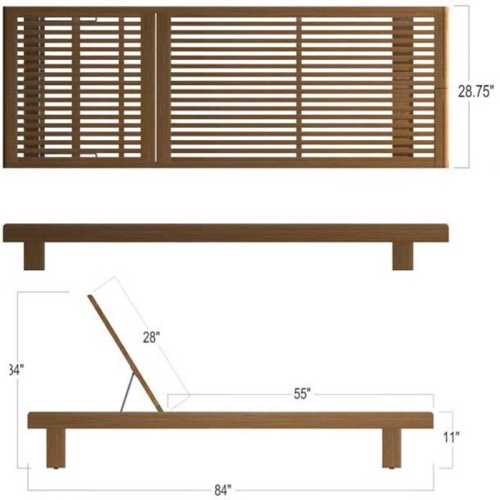 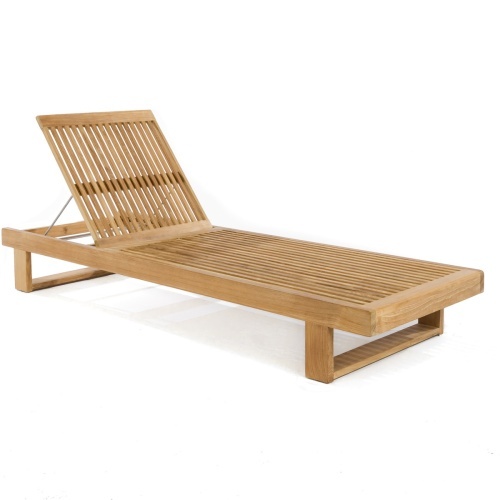 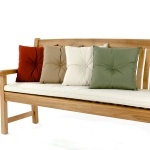 Easily paired with another lounger to create a double lounger or larger daybeds. 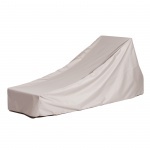 Stackable up to 8 high for easy storage. 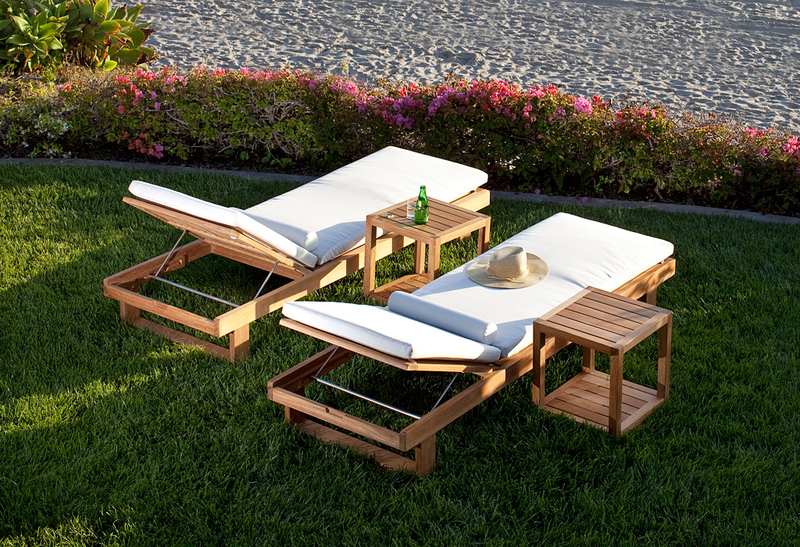 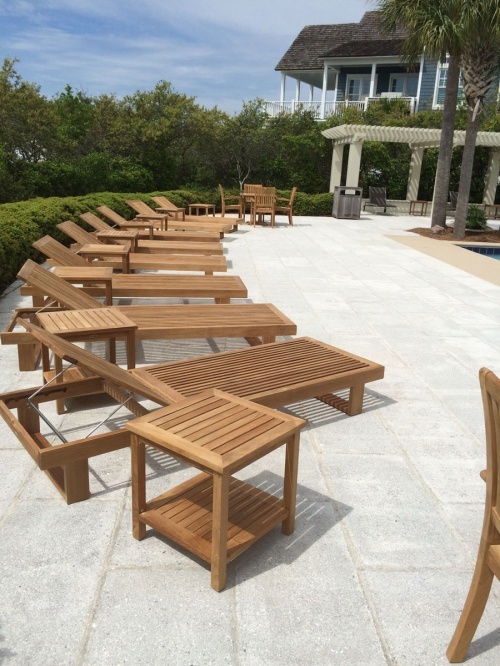 Designed without wheels, minimizing poolside movement of the loungers. 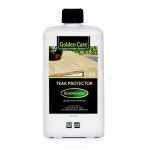 Minimal moving parts prevent injury to users, minimizing liability to the owners. 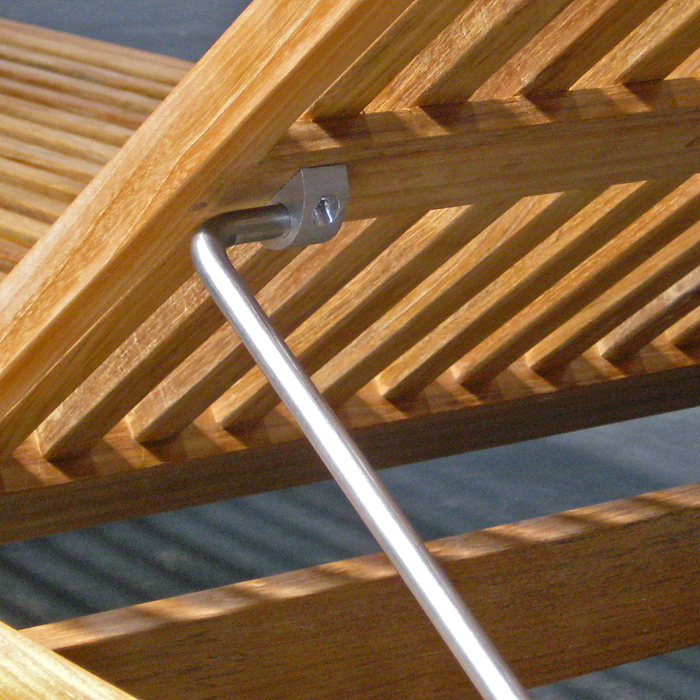 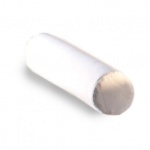 Use of marine grade 316L stainless steel backrest supports ensures the highest resistance to rust. 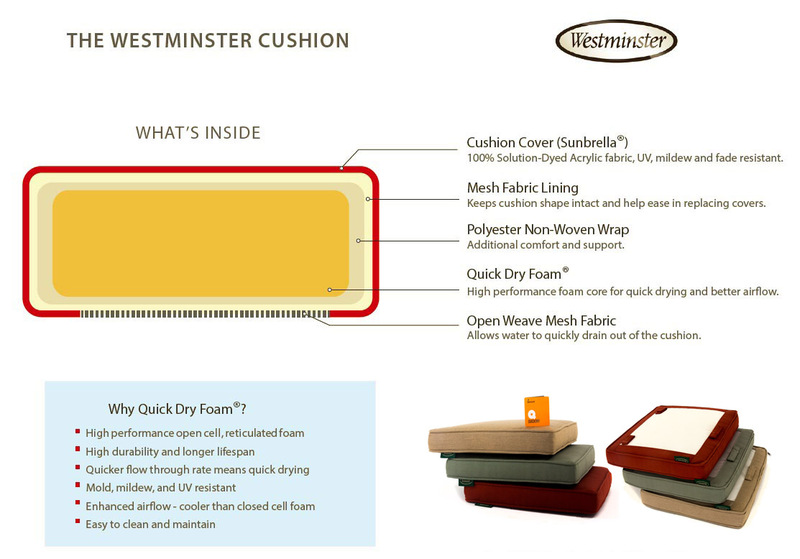 Cushion made with Quick Dry Foam® core cushions and 100% solution dyed Sunbrella fabrics. 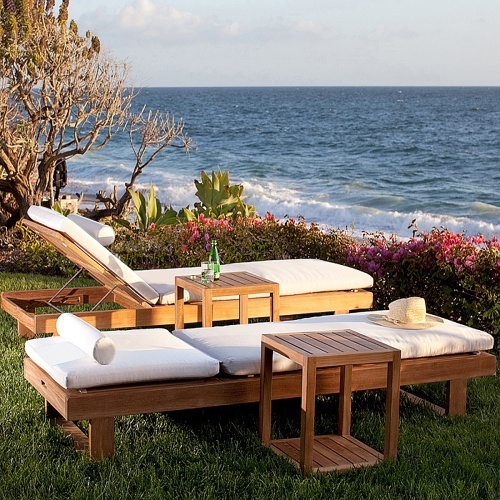 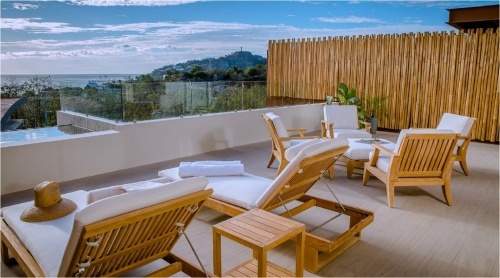 Crafted with SVLK Certified Grade A Teak harvested from sustainable plantations in Indonesia., every piece is precision manufactured to standard specifications for commercial and residential use. 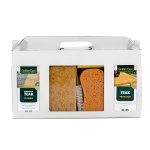 The time is now 03:06 AM EST!